I am a very genre specific sort of gamer: even when it comes to free software, I like to know what I’m getting myself into before I get started. 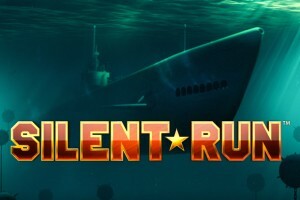 When a friend of mine asked me to check NetEnts Silent Run out, I waffled. A slot game? A slot game about navel battles in WW2? It did not sound like my cup of tea, and I considered blowing it off. Deciding to give the game a shot, though, I was pleasantly surprised by what I found. I would not have expected to enjoy this game, but I not only found myself enjoying this game, I also found myself having a visceral reaction to it. 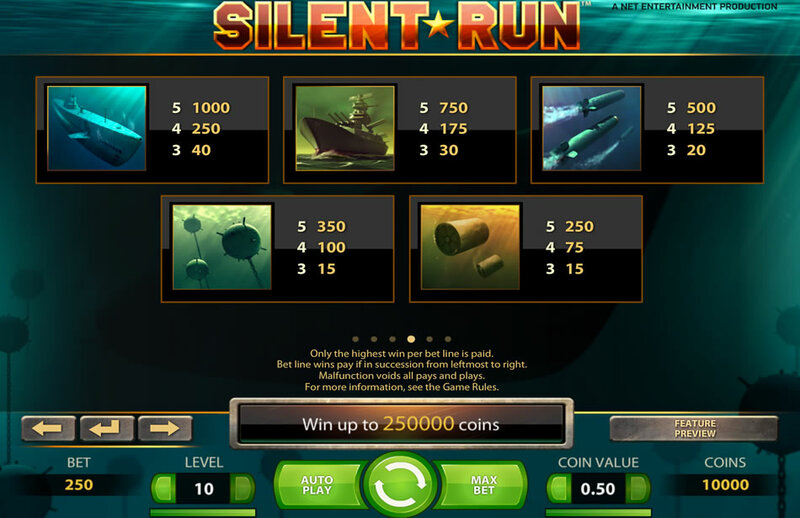 I would have thought this sort of game would be fun for people who generally enjoy slot games, but I would not have guessed that it would be as much fun as it is, even for someone (like me) who can be a bit ambivalent towards the genre. The game theme really adds to the experience. This is not some antiquated slot experience, with clanking wheels, jangling coins or bells and whistles. Instead, it is a modern browser game – simple, straightforward and easy to get into. The graphics are simple yet refined, with clear images that draw inspiration from either WWII or the early Stalinist era of the Cold War. It is very smart depiction of the industrial navies that existed in that era. 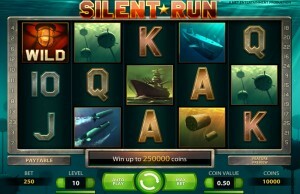 Inside the slot field is based in a grid that looks like it was inspired by Battleship, the classic Matel board game. On more than a few close misses, I felt like I had been sunk, while getting a win reminded me of sinking an enemies battleship. 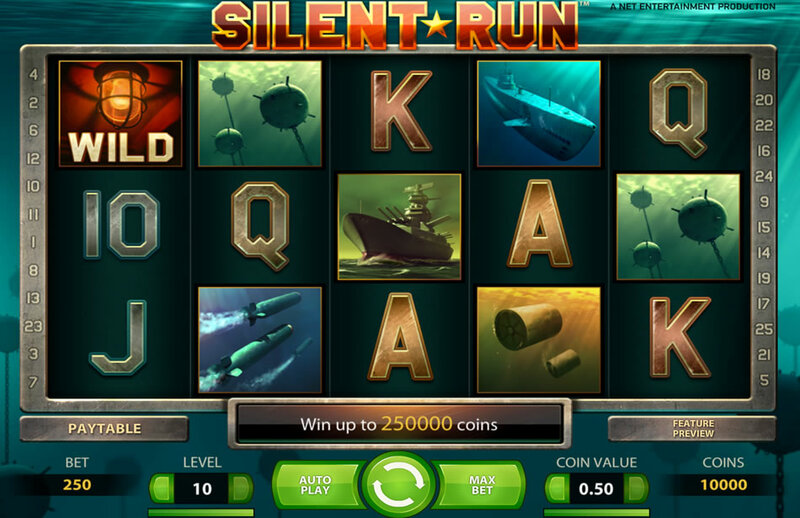 The slot game genre does not usually appeal to me, but this is not a standard slot game. For the first few bids and spin I took, I came up with absolutely nothing, but on the fourth or fifth attempt, I hit on the image of a red alarm light with ‘wild’ written on it. This wildcard feature caught me by surprise, but I did not complain when I saw the word ‘winner‘ on screen. A win can come in a non-traditional fashion, too, as long as multiple images of the same type are within a diagonal radius of one another. The Echo sends out a ping that spans multiple images, and the Echo Wild is a sonar ping that is also a wildcard. By far, the coolest feature was a bonus game where you could interactively try to sink ships for greater profit. I have to say, I was very impressed with what NetEnt put together. 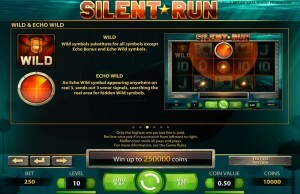 Slot games are usually incredibly simplistic, but this offering kept my attention for an hour. 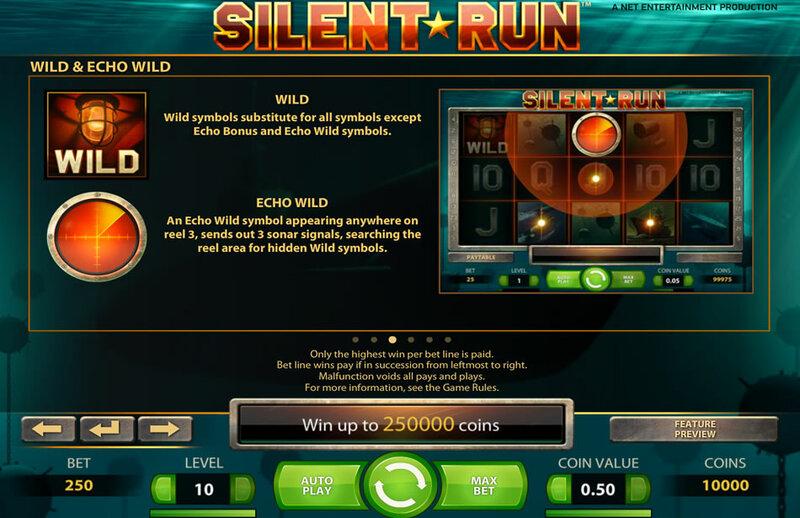 The game play and mechanics are intuitive and accessible, so it will not take long for the average player to get the hang of it. The game ran perfectly on my spotty internet and past-its-prime laptop, so I have no doubt it can be accessible to almost anyone with an internet connection. My attention was certainly captured, and that was just playing the free version: I imagine the intensity would have been ratcheted it up considerably if I had actual money on the line. I strongly recommend playing this game.